Final Day Of The Year! As sure as the sun rises in the East and sets in the West, the days roll by and the final day of the year is upon us. For some, the last day of the year came too soon. Mothers who are sending their children to Primary or Grade One for the first time are closing the door to preschool stage and opening a new chapter of journey with their kids as primary school parents and kids. For others, this last day of the year couldn’t come fast enough, hoping that 2015 brings new, better and more positive tidings. For me, 2014 has been a year rife with personal challenges and triumphs. Please indulge me while I share my learning pains and triumphs this year. I am always tired. I realized that my battery runs out much quicker these days. By 5pm, I feel completely drained, cranky and out of sorts. I’ve tried taking Vitamin B12 pills and Ginseng tea to boost my energy levels. They are not very effective. In fact, the Vitamin B12 pills made me feel nauseas. Learning Point: I need an action plan. Intentions without actions are like hollow echoes or empty praises. You need actions to seal the deal. My participation earlier this year in the Great Eastern Women’s Run provided me with the impetus to start exercising again. I intend to finish a 5km run without becoming breathless. My action plan, or the steps I am taking to reach my goal is to attend yoga classes with friends in the new year. And I am roping in the family (kids and hubby) to help me make 2015 a robust and healthy year. We just finished our home version of a physical fitness test. I will keep you updated on our fitness progress. Last year (2013) threw up a lot of hostility in my personal relationships with hubby and with friends. This year (2014) has been about weeding out the toxic stems and re-planting some new seeds. It has been a journey of self awareness and discovery. I want to say I have arrived, but I have not. However, I have made good progress and the prognosis is really good. For the longest time, I was accommodating, amicable, a crowd-pleaser. I was the Good Wife, the Best Friend and Mother Saint. Underneath the calm surface, a disquiet storm was steadily brewing. Finally, a volcanic blow out late last year preceded the clean up this year. I had lost “ME” in the process. It took some soul-searching on my part and the ingenuity of the UNIVERSE who tossed out a few long-overdue catalysts that enabled me to face the truth. I dropped toxic friends, reconnected with old ones who love and support me for me (you know who you are), made peace with myself (I am not Mother Saint and I don’t always want to be the good wife or best friend) and formed new connections with really genuine “NICE” people (which gratifies me). 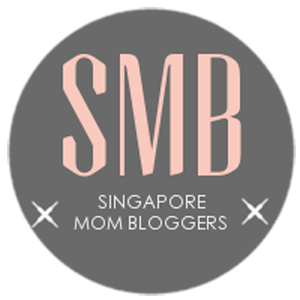 In April this year I attended a workshop by Singapore Mom Bloggers where I was challenged to channel my voice. The only problem was. I didn’t know what it was or what I wanted to say! Learning Point: The journey to finding your voice or yourself is a process. Learn to listen to what the Universe is trying to teach you. And learn to forgive yourself and let go of what you cannot change. These days, the fog has cleared and clarity is on the horizon. I feel stronger, more grounded and more ready to take on the challenges in the New Year. And I feel inspired by the highly successful women who are within my orbits these day. They inspire me to invest in myself and surround myself with “better” people. I just read this article at Huffington Post that resonates with me —20 Habits for Success I Learned Working for Two Billionaires. I will definitely try to develop better oratory skills, grow a thicker skin and laugh at myself more (haha, wish me luck). Read the article and tell me what you think about it. The year has also reaped many great rewards for me. I trained and facilitated more workshops this year than in the past. One of my highlights was conducting a corporate training session for 30 members of a C-suite (the chief executives and country managers of a MNC). I was also happy that I was able to work with more parents both in coaching and training. And I am a part of an exciting project with the CRIB SG50 Women for Women next year. As for this blog, I am excited with our achievements. Our Changi Airport Christmas post was seen by over 600, 000 readers worldwide. We started our Kids Say section where kids share what they think about school, playtime, digital games and movies. We have a new Look and new layout. Before I bid farewell to 2014, I want to thank all the “Angels” who looked after me and listened to me. Who shared their lives with me and allowed me to partake in their meaningful giveback to society — BeCause of You, Spreading Some Christmas Cheer and those who gave me opportunities to shine.